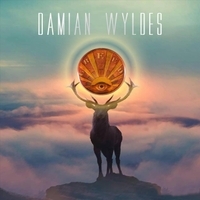 Expressive and even stirring describes the vocal intro from Wyldes’ latest song. Talk about having presence on a studio recording. A feeling of anticipation builds by the time the contemporary El Paso, Texas-based singer proclaims, “Money don’t buy you everything.” With remarkable gravitas and warmly picked acoustic fret work, “Greed” moves to different time changes, sometimes almost reggae-ish, by way of a unique 4:03 arrangement, including cordial trumpet solos. But you have to listen for yourself.